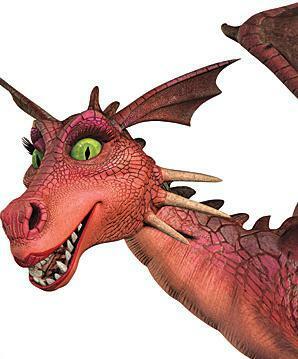 Dragoness (Shrek). The Dragon is Donkey's love interest. She initially started out as an antagonist, charged with guarding Princess Fiona in her castle, but later reforms and helps Shrek. .. Wallpaper and background images in the Shrek club tagged: the shrek series movie animated movie shrek the third 2007 film. The Dragon is Donkey's love interest. She initially started out as an antagonist, charged with guarding Princess Fiona in her castle, but later reforms and helps Shrek. . This Shrek photo might contain triceratops.